Our primal shoe collection has got a new member. 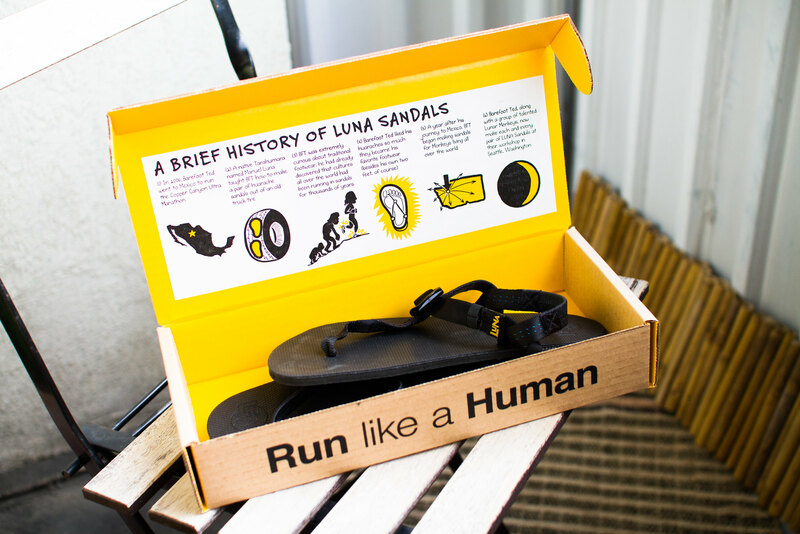 Luna sandals! I needed a shoe that works well in warmer weather. Previously my cool open Fivefingers have worked very well, but unfortunately they got torn last weekend. The backside of using your shoes… Fivefingers tend to doesn’t last for very long, since they’re so minimalistic. Also, my feet has gotten much wider during the last year, a consequence of using barefoot shoes, and didn’t fit that well into them anymore, which was one of the reasons that they got torned. 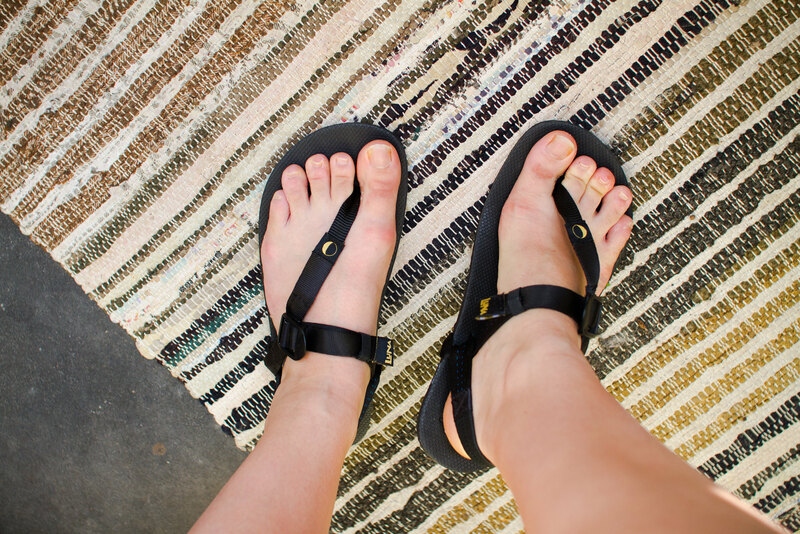 So I thought I would give these Luna sandals a try, they’re as expensive as Fivefingers but may last for longer. We’ll see. Also one benefit is that I can use them both as regular sandals to work and as trail shoes while I cannot use Fivefingers at work. With a brief history inside. Inspired from Manuel Luna, known from the famous book Born to run. So soft and light sandals. I haven’t been able to try them outside yet, but just trying them on I can tell they feel very light (of course) on the foot without being lose anywhere due to the adjustable one piece strap. So they should be very comfortable to be moving in as well. I’ll definitely come back with a greater review once I have been able to use them more. Raw beetroot and coconut cake! 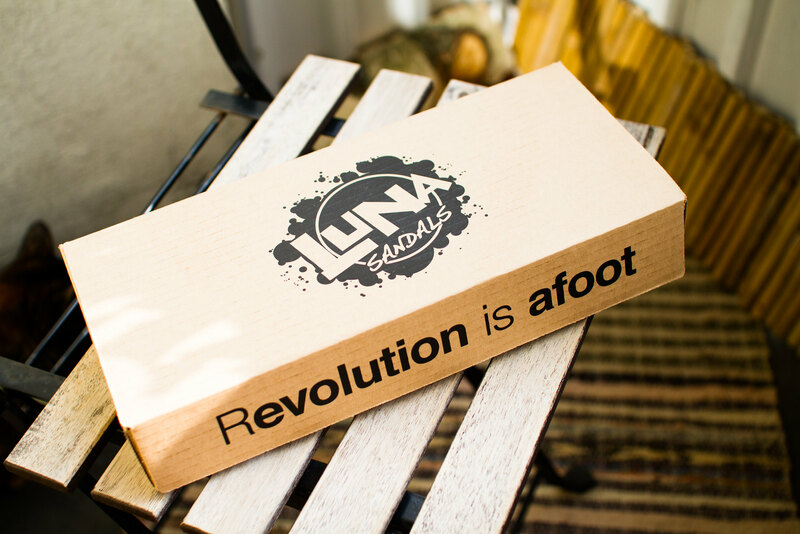 I want some luna’s eventually. I am easing my self into barefoot marathon training.